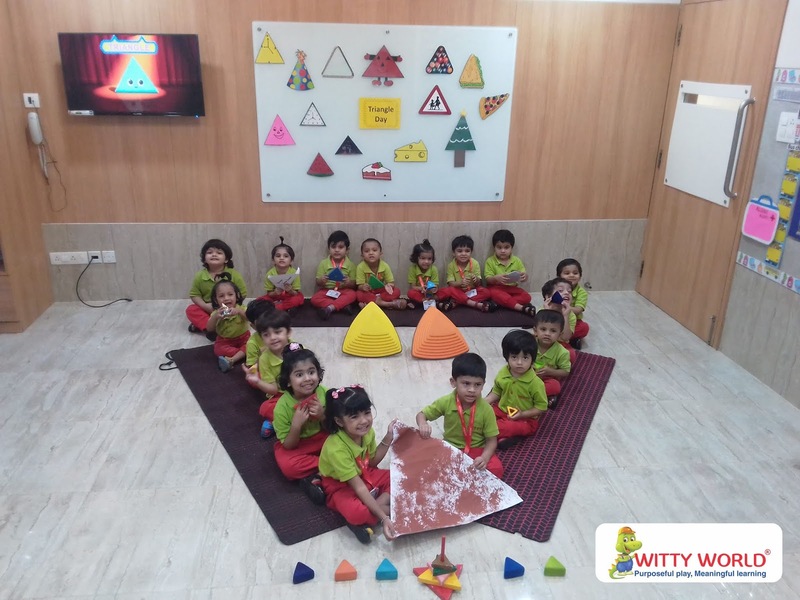 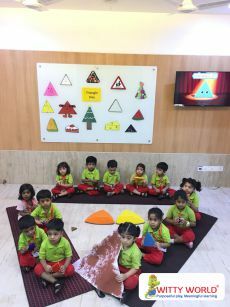 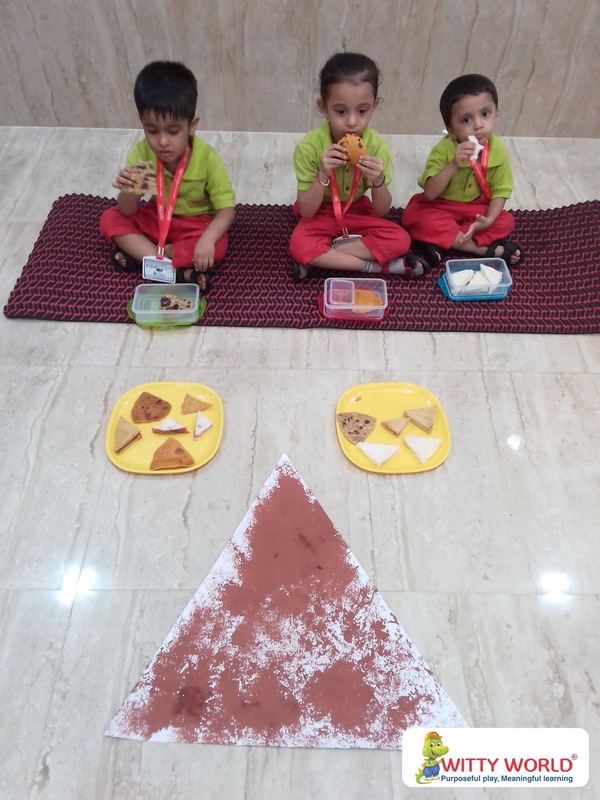 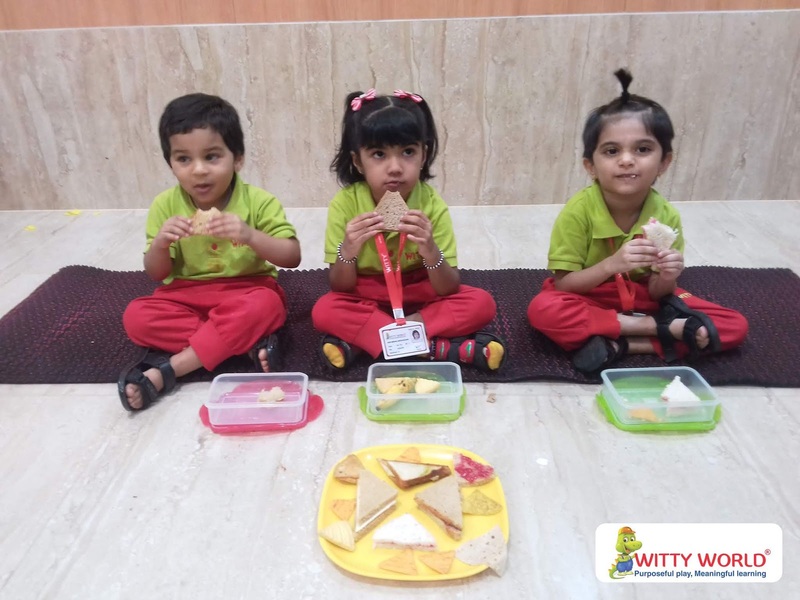 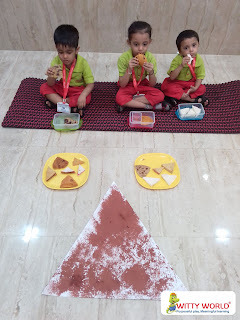 The Little Wittians of Nursery section celebrated “Triangle Day” on Thursday, 2nd August, 2018 in a very interesting way. The class was pre- decorated with different triangle shaped objects. 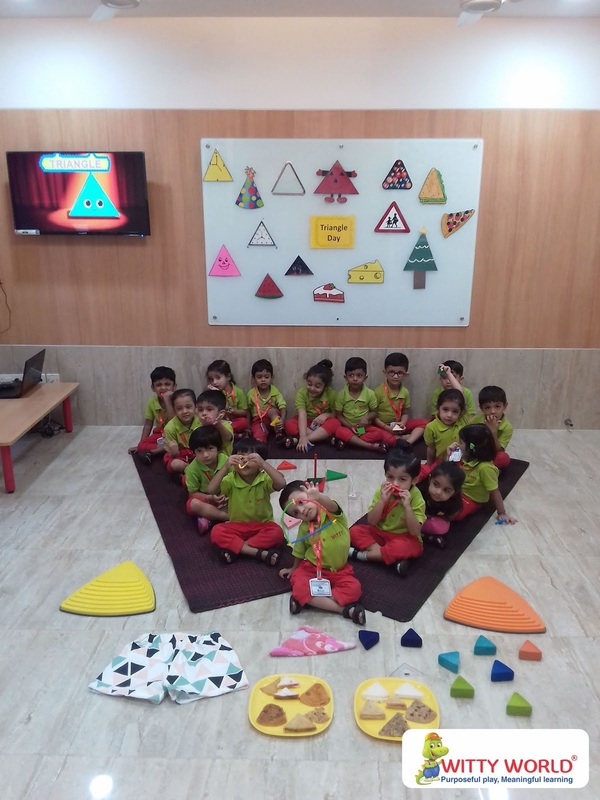 The teacher introduced triangle shape by singing rhymes and showing different triangular objects. 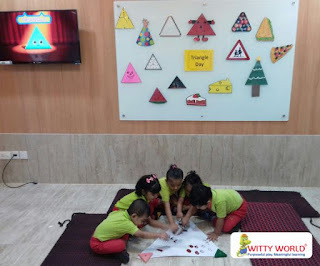 Children enjoyed the dabbing activity on triangle shaped chart paper. 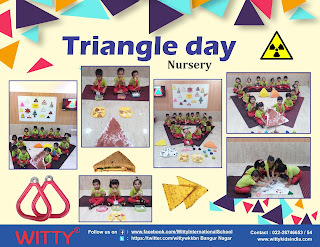 They also relished the triangle shaped snacks that they had brought in their tiffin boxes.